The ESPN Network will televise the game. Written by NCAA Basketball March Madness Expert Analyst Charlie Red McDougall. Charliessports.com produces it for Basketball Betting. NCAA Basketball Point Spread Picks are the best in the industry and will continue through the 2019 March Madness Finals in April of 2019. We’re always providing BETTOR Friendly cards. Our signature 500* premium ATS Predictions are unreal & I promise you won’t regret purchasing, cash in Daily. The (13-18) SU, (12-19) ATS Notre Dame Fighting Irish have dropped seven consecutive including a 56-53 defeat to Pittsburgh as 2′ point road UNDERDOGS ATS in the regular season finale. It’s been a difficult season for the faithful in South Bend, Indiana as they’ve failed to make the NCAA Tournament for the second year in a row. Notre Dame went 3-15 against Atlantic Coast Conference opponents, and the whispers surrounding coach Mike Brey are getting louder in Northwest Indiana. The Fighting Irish were 11-3 on New Year’s eve of 2018 but won just three games since. They’ve had losing streaks of two, five and now seven games since the beginning of 2019 and need a victory bad for confidence going into next season if nothing else. The Fighting Irish offense averages (68.9) points per game on (39.5%) shooting from the field. They haven’t scored over 70-points since a February 2nd, a 79-73 road win at Boston College. An area where they excel is the (10.3) offensive rebounds per contest, and they’ll have to be active in the post-Tuesday to get advance. Junior power forward John Mooney (14.1) ppg leads the Irish in scoring while guard T.J Gibbs contributes (13.4). D.J Harvey is the only other player scoring in double figures for the Irish. The top team of NCAA Basketball Handicappers believes Notre Dame should be able to beat Georgia Tech. However, it’s too risky going on either team AGAINST THE POINT SPREAD and here’s why. The UNDER is 13-3 Notre Dame last sixteen overall with nine consecutive between the team staying under the total. The (14-17) SU, (19-12) ATS Georgia Tech Yellow Jackets come in on a two-game winning streak after a 66-63 road win over North Carolina State as 10 point road UNDERDOGS ATS. Georgia Tech went 6-12 in conference play this season in head coach Josh Pastner third season on the bench. Pastner isn’t precisely in safe territory as far as job security, since his first season when they were NIt runner-ups the program hasn’t participated in the postseason. This Sports Handicapper is 3-0 ATS on games this season involving Georgia Tech. Another case for POINT SPREAD lovers is they’re 8-3 ATs the previous games on Tuesday’s and have covered the Point Spread 11 of thirteen when facing Notre Dame. However, it’ still a risky proposition taking any side on this game. The Yellow Jackets offense produces an average of (65.2) ppg while allowing opponents (66.2) ppg. Sophomore guard Jose Alvarado (12.8) ppg along with junior forward Joe Banks (10.5) ppg are the only two players on the roster that average double figures in scoring. Pastner will have the Georgia Tech defense ready for action in what should be a combined score of 117 points. Free Pick. UNDER 126′ Points. Also Play Online Poker Plus Other Casino Games and enter some of the best Tournaments on the World Wide Web. 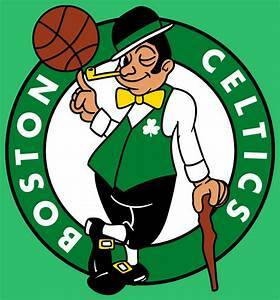 Wizards @ Celtics NBA Value Report Free Best Bet tonight. Written by National Basketball Association Point Spread Analyst Al Presto. 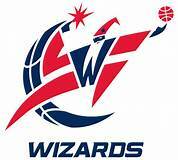 The (25-36) SU, (27-34) ATS Washington Wizards broke a four-game skid with a 125-116 victory over Brooklyn on February 27th as five-point road UNDERDOGS ATS. With twenty-two games remaining the Wizards are the eleventh seed in the Eastern Conference. It’s unsure what direction the franchise is headed after a season-ending injury to All-Star John Wall. Washington is 3-3 AGAINST THE POINT SPREAD their last six on the road. The OVER is 10-0 Washington last ten overall. The Wizards are 5-23 ATS their last twenty-eight vs. Teams with an SU winning record. bettors have made a profit the Wizards last five following an ATS cover. The (37-25) SU, (31-31) ATS Boston Celtics must regroup after losing four consecutive coming out of the NBA 2019 All-Star break. 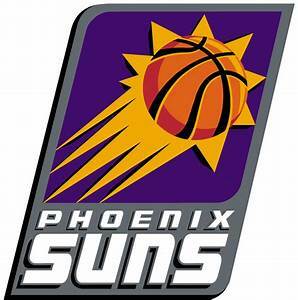 They were taken down by Portland 97-92 as 2′ point home FAVORITES ATS in their most recent game. Boston is fourth in the Eastern Conference, but team chemistry isn’t of championship caliber, and the finger pointing is starting among teammates. Boston is 1-3 ATS since coming out of the All-Star break. The OVER is 6-0 the last six between the teams in Boston. The Celtics are 6-2 AGAINST THE SPREAD their last eight on Friday’s. Boston is 10-1 ATS their last eleven between the teams in Boston. Friday’s game is 8:00 PM EST at the TD Bank Garden in Boston, Massachusetts. The local network will be broadcasting. The Betting Line has Boston as 9 point home FAVORITES ATS. The TOTAL is 235 points for Friday’s contest. Washington Wizards head coach Scott Brooks has seen plenty of scenarios since taking over the team. What many considered an NBA Finals caliber roster, the franchise is now in disarray. 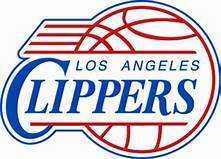 However, they can score the basketball with the best in the league. All-Star guard Bradley Beal (25.7) points per games lead the team that puts up (114.0) ppg on (47.0%) shooting from the field. The organization is satisfied with the development of Center Thomas Bryant (9.9) ppg while the acquisition of Bobby Portis and Jabari Parker from Chicago is paying dividends. The top team of NBA Handicappers at Charliessports.com is aware the Wizards have low expectations which are why they’re in an excellent position to cover the POINT SPREAD tonight. The Boston Celtics are better but have issues internally which has been exposed since the All-Star break. The key to a Wizards ATS cover tonight is to play loose; forcing the Celtics into a fast pace by hitting shots from the perimeter. Parker is crafty enough to create his shot despite his lack of quickness. Bovada.Lv list the Washington Wizards win total at 44′ games for 2018-19. Tough questions are looming in Beantown with dissension within the ranks both on the court and in the front office. Head coach Brad Stevens brought in Gordon Hayward (10.9) ppg from Utah, but a gruesome injury his first game as a Celtics player is still lingering. What’s more interesting is their best player Kyrie Irving (23.6) ppg lack of interest in the system. The dilemma for general manager Danny Ainge is younger players such as Jayson Tatum, and Jaylen Brown want more minutes. It’s obvious Hayward isn’t the same player he was before the injury and Tatum and Brown are better at this point. Stevens without a doubt wants Hayward to succeed especially after signing a maximum contract which shows the human element of an organization. The Celtics average (112.2) points per game on (46.3%) shooting from the field. This Sports handicapper is aware of the Celtics struggles but we’re 17-1 involving Boston on POINT SPREADS as well as OVER/UNDER bets. Boston is treading on thin ice, not with talent but mentally. What makes the Celtics unique in the modern era of the NBA is the coach, and general manager is more important than the star player. Bovada.Lv list the Boston Celtics win total at 58′ games for 2018-19. Free Pick. Washington+9 points. Also Play Online Poker Plus Other Casino Games and enter some of the best Tournaments on the World Wide Web. Miami Heat looks to make a playoff run at Philadelphia Thursday. 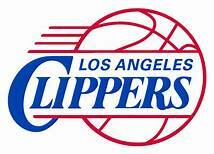 Written by National Basketball Association Expert Analyst Al Presto. Charliessports.com produces it for Basketball Betting. NBA Point Spread Picks are the best in the industry and will continue through the NBA Finals in June of 2019. We’re always providing BETTOR Friendly cards. Our signature 500* premium ATS Predictions are unreal & I promise you won’t regret purchasing, cash in Daily. 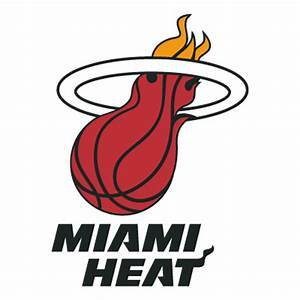 The (26-30) SU, (29-27) ATS Miami Heat are back on the road to begin the second half in the city of brotherly love. Miami ended their pre-All-Star break five-game West coast trip with a 112-101 victory over Dallas as 3 point road UNDERDOGS ATS. They’re tied with Detroit for the final seed in the Eastern Conference after going 4-6 SU their last ten games. Miami is 15-7 AGAINST THE POINT SPREAD their last twenty-two on the road. The UNDER is 6-0 Miami last six following a POINT SPREAD cover. The Heat are 0-4 ATS the last four between the teams. UNDER bettors has made profits the Heat last five after an SU win. The (37-21) SU, (28-30) ATS Philadelphia 76ers finished the break winning three of four including a 126-111 win against the Knicks as 9′ point road FAVORITES ATS. However, it was a 112-109 home loss against rivals Boston the game before in front a national telecast that’s more concerning for Fans as 6′ point home FAVORITES AGAINST THE POINT SPREAD. Many around the league believe Philadelphia has enough talent to represent the East in the 2019 NBA Finals and the quest begins Thursday. Philadelphia is 5-0 AGAINST THE SPREAD their last five on Thursday’s. The 76ers are 5-2 ATS the last seven between the teams in Philadelphia. The OVER is 4-0 Philadelphia last four vs. Teams with an SU losing record. UNDER bettors has made profits in 5 of the 76ers last seven at home. 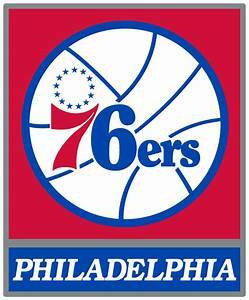 Thursday’s game is 7:00 PM EST at Wells Fargo Center in Philadelphia, Pennsylvania. The local television network will be broadcasting. The Betting Line has Tulane as 6′ point home FAVORITES ATS. The TOTAL is 219′ points for Thursday’s contest. Miami head coach Erik Spoelstra looks forward to the return of point guard Goran Dragic (14.3) points per game who been out since December with a knee injury. 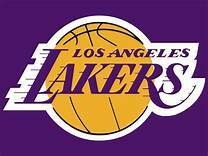 There’s good news to report; he along with posy player Derrick Jones Jr (7.4) ppg practiced Wednesday before the team boarded their flight to Philadelphia. However, both players will be listed as questionable for Thursday’s contest. Miami just signed rookie power forward Emanuel Terry (4.5) ppg to a 10-day contract who’s only experienced was a two-game stretch with the Phoenix Suns before he got sent to the developmental league. The organization has been raving about the play of Justin Winslow with his ability to distribute the ball, which brings another element while he’s also gaining confidence in his shot which is up from to (11.3) from (7.2) per game a year ago. Miami averages (105.0) ppg, 27th league-wide while their third-ranked scoring defense allows opponents (105.5) ppg. Spoelstra understands the talent level Philadelphia puts on the floor, and it’s going to take a superior performance to get the road victory. The NBA Handicappers at Charliessports.com will have a rated selection on this contest Thursday. Bovada.Lv list the Miami Heat win total at 45 games for 2018-19. Point Spread bettors from coast to coast are already moving against Philadelphia since new that All-Star center Joel Embiid won’t play Thursday due to a knee injury. The organization released a statement that’s it’s just a precaution after the 24-year-old center experienced soreness after the 2019 All-Star game. Head Coach Brett Brown still has plenty of talent at his disposal with Ben Simmons (16.8 ppg, 7.9 assists, and 9.0 rebounds) along with Jimmy Butler (19.3) ppg. More of a concern than anything is making sure Tobia Harris and Boban Marjanovic fit into the rotation. Both players were acquired at the trade deadline to bolster the 76ers chance of getting to the 2019 NBA finals. Neither looked confident in the new system against Boston, but it’s still early, and they’ll get another shot against Brad Steven team. Philadelphia third-ranked scoring offense put up (115.9) ppg on (47.5%) shooting from the field. However, the (112.1) ppg they allow opponents must come down if they’re going to make a run at the 2019 NBA title. That’s why they brought in Butler who has a reputation of being a defensive stopper with a tough mindset which they’ll need in the playoffs. This Sports Handicapper has an unreal record when going on or against Miami or Philadelphia. 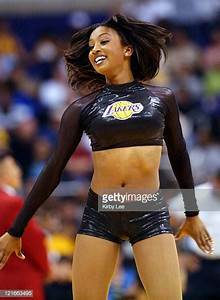 This Sports Handicapper took Boston+6′ the 76ers last game and Miami+3, an outright winner over Dallas their last time on the hardwood. Free Pick. Side & Total. Also Play Online Poker Plus Other Casino Games and enter some of the best Tournaments on the World Wide Web. Nebraska will try to keep NCAA March Madness hopes alive Tuesday at Penn State. Written by NCAA Basketball Expert ATS Analyst Al Presto. Charliessports.com produces it for Basketball Betting.Daily CBB Point Spread Picks are the best in the industry and will continue through the March Madness Finals in April of 2019. We’re always providing BETTOR Friendly cards. Our signature 500* premium ATS Predictions are unreal & I promise you won’t regret purchasing, cash in Daily. The (15-11) SU, (12-12-1) ATS Nebraska Cornhuskers hope to extend their two-game winning streak tonight against a team they’ve already beaten this season. 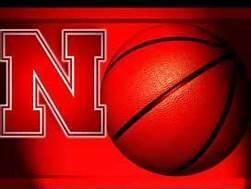 Nebraska took down Northwestern 59-50 their last game as 5′ point home FAVORITES ATS on Saturday. The Cornhuskers are tenth in the Big Ten and tonight’s game could be a must win for a team that’s been riddled with injuries. Nebraska is 1-8 AGAINST THE SPREAD their last nine overall. The Cornhuskers are 1-9 ATS their last ten vs. Big Ten opponents. The OVER is 2-2 Penn State last four on the road. UNDER bettors has made profits in 8 of Nebraska last ten. The (9-16) SU, (9-14-2) ATS Penn State Nittany Lions lost 76-64 to Purdue Saturday as 12 point road UNDERDOGS AGAINST THE POINT SPREAD. Penn State is playing for pride, and it’s unlikely they’ll get a postseason invitation of any kind. However it won’t stop them from competing which is evident by their 6 point home upset of then ranked #6 Michigan in State College, Pennsylvania on February 12th. Penn State is 1-4 AGAINST THE SPREAD their last five at home. The OVER is 4-1 Penn State last five vs. Big Ten opponents. The Nittany Lions are 3-0-1 ATS their last four overall. OVER bettors have cashed in 7 of the last five between the teams. 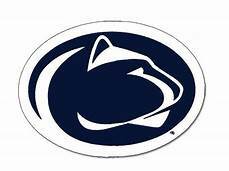 Tuesday’s game is 7:00 PM EST at Bryce Jordan Center in State College, Pennsylvania. The FS-1 television network will be broadcasting. The Betting Line has Penn State as 3 point home FAVORITES ATS. The TOTAL is 131′ points for Tuesday’s contest. Nebraska head basketball coach Tim Miles understands his team’s chances of qualifying for an NCAA tournament bid depends on playing tight defense. The Cornhuskers are 2-4 since losing lost senior leader Isaac Copeland Jr (14.0 points per game) for the season with a knee injury. It’s now up to Dixon, Illinois junior forward Isaiah Roby (11.2 ppg) who posted his third double-double of the season against Northwestern to perform at an elite level. The Cornhuskers five remaining games counting tonight are Purdue and Iowa (Senior night) at home while they travel to Michigan State and Michigan. It all begins tonight; wiping the slate clean and finishing up the season with a 5-0 mark heading into the conference tournament would turn some heads on selection Sunday. If they don’t sweep the remaining games, they’ll need to win the Big Ten Tournament which begins March 13th in Chicago. Since their win at Clemson in the ACC/Big Ten challenge they’ve been pathetic on the road going 1-6 SU and have lost their last three away from home. This Sports handicapper is 5-1 when going on or against Nebraska ATS and Totals. Nebraska is desperate, and our FREE PICK has them getting the money tonight on the road. Bovada.Lv, list the Nebraska Cornhuskers at + 700 win the 2019 Big 10 Tournament. The Penn State Nittany Lions won the NIT last season which usually indicates they should have got into the NCAA Tournament. Head coach Pat Chambers is in his seventh season on the bench and with just two conference wins are last in the standings. Junior guard Lamar Stevens (19.2 ppg) is second in the Big Ten scoring the basketball. The Pennsylvania native became the 11th player in school history to score 1,500 points with eighteen in their last game at Purdue. Turnovers have been a big part of the problem this season, and they’ll face pressure against a Nebraska team that thrives wreaking havoc. Penn State also ranks next to last league-wide shooting the basketball (40.9%) from the field while the (31.2%) from beyond the arc ranks last in the conference. The Nittany Lions snapped a five-game home losing streak with the upset over Michigan and must play with an attitude tonight. They do have a significant advantage in the post as the Nittany Lions rank inside the top 100 teams nationally on the glass. The top team of NCAA Basketball handicappers at Charliessports.com isn’t convinced that Penn State play’s with intensity tonight at home and for them to win they’ll need to take care of the basketball which will be a tough task. Bovada.Lv, list the Penn State Nittany Lions at +1,000 to win the 2019 Big Ten Conference Tournament. Free Pick. Nebraska+3′ Points. Also Play Online Poker Plus Other Casino Games and enter some of the best Tournaments on the World Wide Web. #4 Virginia is putting it on the line in Blacksburg tonight against #16 Hokies. Written by College Basketball Point Spread Expert Analyst Al Presto. Charliessports.com produces it for Basketball Betting. Daily Basketball Betting Picks are the best in the industry and will continue through the March Madness Finals in April of 2019. We’re always providing BETTOR Friendly cards. Our signature 500* premium ATS Predictions are unreal & I promise you won’t regret purchasing, cash in Daily. 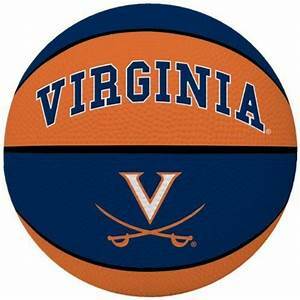 The (22-2) SU, (17-7) ATS Virginia Cavaliers took down Notre Dame 60-54 as 16′ point home FAVORITES ATS on Saturday. February 16th. Virginia went into North Carolina and upset the Tar Heels on the 11th of this month. Virginia has dropped two in Atlantic Coast Conference games this season with both defeats coming against the Duke Blue Devils. Virginia is 20-6 AGAINST THE POINT SPREAD their last twenty-six on the road. The Cavaliers are 1-4 ATS their last five overall. The UNDER is 4-2 the past six between the teams. UNDER bettors has made profits four of the Cavaliers last five overall. The (20-5) SU, (12-11-1) ATS Virginia Tech Hokies have also won two consecutive, the latest a 70-64 victory over Notre Dames as six-point road FAVORITES ATS. Virginia Tech has been without point guard Justin Robinson (14.4) ppg for the past five games. Robinson won’t be in the lineup tonight which will allow more playing time for Jonathan Kabongo. Virginia Tech is 3-8-1 AGAINST THE SPREAD their last twelve overall. The UNDER is 7-3 Virginia Tech last ten on Monday’s. The home team is 9-3 ATS the last twelve in the series. OVER bettors have cashed in 7 of the Hokies last ten overall. 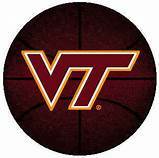 Monday’s game is 7:00 PM EST at Cassell Coliseum in Blacksburg, Virginia. The ESPN television network will be broadcasting. The Betting Line has Virginia as 6 point road FAVORITES ATS. The TOTAL is 119′ points for Monday’s contest. As we approach March College Basketball fans everywhere including the POINt SPREAD BETTORS can help but to remember the 2018 first round March Madness upset of the top seed Virginia Cavaliers. Head Coach Tony Bennett will field his share of questions as his team will again be a number one or two seed. The Cavaliers took down the in-state rivals 81-59 in January and look to get the season sweep tonight. As usual, the Cavaliers defense that allows opponents (54.4) ppg which leads the nation. The (72.1) ppg they score per game is 172nd in College Basketball, but the average is (70.1) ppg on the road. Virginia is tied with North Carolina for second place in the conference with five games left in the 2018-19 regular season. Guards Kyle Guy and De’Andre Hunter have posted back to back twenty point plus performances with Guy hitting clutch baskets in front of a national audience against North Carolina. This Sports Handicapper understands Virginia wants to play at a comfortable pace which hurts cost them in the 2018 NCAA March Madness tournament. However, it’s what Bennett has used to build the program into a nationally prominent basketball program. 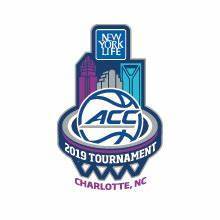 Bovada.Lv, list the Virginia Cavaliers at 12/1 to win the 2019 Atlantic Coast Conference Tournament. Virginia Tech head coach Buzz Williams is in his fifth season on the bench since coming over from Marquette. They’ve made it to the NCAA March Madness tournament the past two seasons only to get bounced in the first round. Leading scorer Nickeil Alexander-Walker (17.8) ppg is the go-to guy’s, but forward Kerry Blackshear Jr has been performing at an elite level scoring in double figures the past five games. Williams has also taken a blueprint from the success of Virginia using stingy defense as a catalyst to winning. The (61.1) ppg they allow opponents ranks seventh in College Basketball. Virginia Tech scores (75.4) ppg which ranks 90th in College Basketball, however, the add (6.8) ppg to the number when playing at home. The Hokies shoot the basketball well from the beyond the three-point line; the (41.8%) is fourth in the nation. Virginia Tech is 0-3 both SU/ATS when playing teams ranked in the top twenty this season and the losses haven’t been close. A key for tonight is Virginia Tech is 5-0 SU when they shoot (50.0%) or better from the field. The NCAA Basketball Betting experts at Charliessports.com has a FREE PLAY on this game. Bovada.Lv, list the Virginia Tech Hokies at 20/1 to win the 2019 ACC Tournament. Free Pick. Virginia Tech+5 Points. Also Play Online Poker Plus Other Casino Games and enter some of the best Tournaments on the World Wide Web.